If you asked me six months ago what skincare products I used, i'd have looked at you blankly and replied 'face wipes?' Yes, I can hear you all gasping at the thought but before I started beauty blogging I really didn't see the need to spend 10 minutes in the bathroom prepping my face for sleeping. However, that's all changed and I now have shelves, bags and drawers full of beauty products that I slather on my face morning and night. That being said, my skin still has breakouts and as much as I enjoy and look forward to taking my make up off I'm not quite sure it's made a massive difference to my skin. The lovely Joanna did this wonderful guest post on my blog about why she doesn't swear by skincare and it really got me thinking, is it worth it? I spend lots of £££ each month on new skincare, in the hope that my skin will return to it's blemish free appearance and each month i'm left disappointed. The post has had a brilliant response and so for the sake of beauty bloggers everywhere I've decided to undertake a mini experiment. For one whole month i'm going to cut my skin care down to two steps (okay, maybe three). I'll be taking off my makeup, moisturising and climbing straight into my bed. Serums, oils and toners will be a thing of the past and instead i'll be embracing warm water and face flannels and maybe good old fashioned face wipes (cue shrieks of horror)! I'll be keeping you updated on my skincare quest throughout the month, i'm hoping i'll uncover some wonderful secret but i'm sceptical if i'm honest. Let me know your thoughts on skincare and if you decide to join me then let me know, maybe we can swap tips for a simple skincare routine! My skin is so much better after changing to a really simple three step routine. Cleanser, exfoliate and moisturise, done! 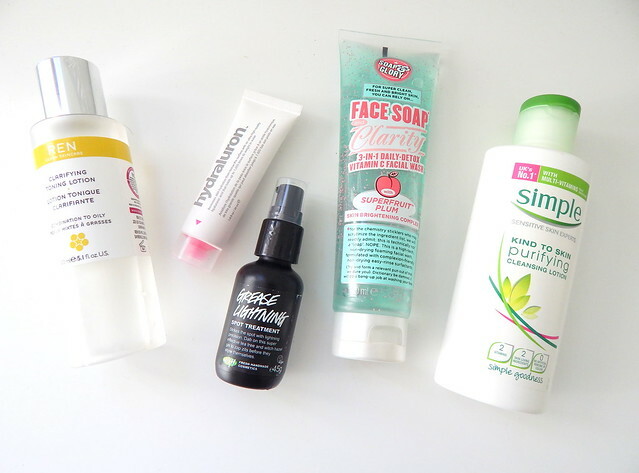 I found use too many products made my skin worse because it is so sensitive.